I’m taking one of the kiddos in for a minor procedure this morning, so I may be in and out for a bit, depending on his interest in watching whatever they’ve got on the tube in the waiting area. If we’re very, very honest about where things stand, we can acknowledge that this is a roster overflowing with talent. So much talent. So much remaining potential to be truly excellent. But, widening the lens, it’s an organization beset by negative storylines that it has earned, an organization that is struggling to generate useful young talent after the main wave arrived after the rebuild, an organization that is still trying to rebuild a farm system, an organization that turns over coaching staffs as the same rate as the seasons pass, and an organization with a manager on the final year of his deal. 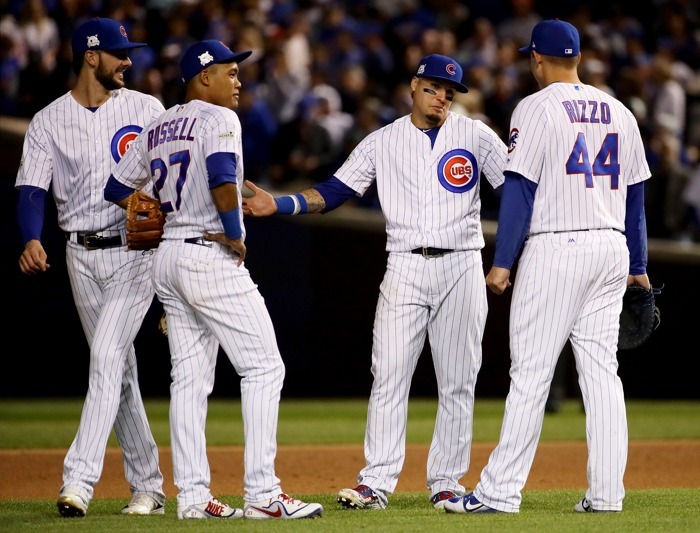 It feels like an unpleasant time for the Cubs because, in many ways, it is an unpleasant time. But that all changes if the team is successful at the big league level in 2019. Which, again, being truly honest: is eminently possible. It’s just about Martin Maldonado or Matt Wieters or bust at this point, unless a surprising trade opportunity or waiver addition becomes available. Even in that case, pitchers and catchers report today. You don’t really love the idea of a catcher joining much later than this. 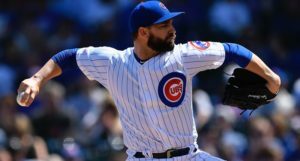 So if the Cubs are going to go with Victor Caratini as Willson Contreras’s back-up, then here’s hoping Joe Maddon is prepared to GIVE HIM STARTS. Not only will Caratini need them to improve and develop, but Contreras will need them to be successful all season, and not be totally ground down by August. At this point, I really only want to hear from Russell, the front office, and Joe Maddon. The players have tried to talk around the situation for months now, put in an impossible situation by decisions outside their control. “More velo from the pitcher equals less success for the hitter. MLB.com’s Andrew Simon saved me some research by writing a recent article on this very subject. 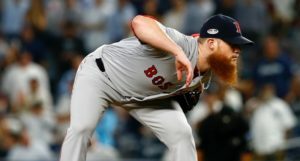 In it, he outlined the hardest-throwing rotations for the upcoming campaign and presented a nice statistical glimpse into why it matters. Drink bottles, Galaxy tablets, robot vacuums, and more are your Deals of the Day at Amazon. 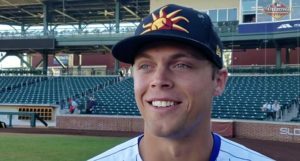 META: If you missed yesterday’s big site news, we’ve got a new minor league writer! Bryan Smith, better known as the @cubprospects guy on Twitter, is joining the fold. His first post is here, and he’s fantastic. I think you folks will really love getting to read his work this season. Nobody can precisely replace Luke, and we’re not even going to try that. Bryan will instead be doing things his way, so the coverage will look different than it has looked in the past, and there will be an adjustment period, as there always is. But you’re going to get a deep, interesting look into the farm system throughout the season. Of that, I am quite sure. 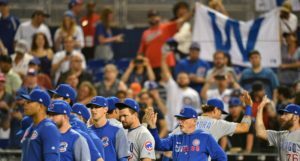 Previous PostPrevious post:IT BEGINS: Cubs Pitchers and Catchers Report for Spring Training TODAY!